As a founder of a local CF gym, I get asked all of the time what we think are the top 10 pieces of gear we recommend for a Garage Gym. We started out at a local track and built our way up to having athletes workout in our garage. So we just wanted to share a few things that we learned along the way so you don’t make the same mistake we made when you buy gear. 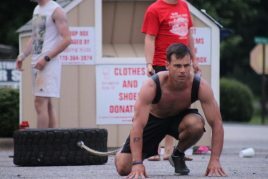 If you’re on a budget, check out this article: How to Find Good Used CrossFit Equipment for Sale. Check out this guide for athletes starting out with basic workouts and building your garage gym. You don’t have to buy the most expensive barbell but like anything else, you get what you pay for. If you purchase a cheap barbell it will not last that long. One drop from head high with 200 lbs and the barbell is going to bend. Question: What is a good book that has a list of workouts that I can do in my garage gym? Answer: We like the book WOD’S! The Best Cross Training WODS For Beginners. 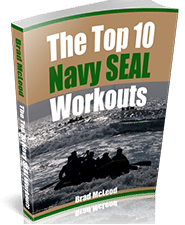 This book gives you a step by step guide to integrating cross training WOD’s into your workout to lose weight, gain muscle and be ready for anything at any time. I would use it as a training journal also and note your times after each workout. That way you can keep a good track of what you are doing and how you are making progress. Question: What is the most basic CrossFit equipment you recommend to get started? Answer: We say to get a yoga mat, jump rope and sand bag if your just starting out in your garage. 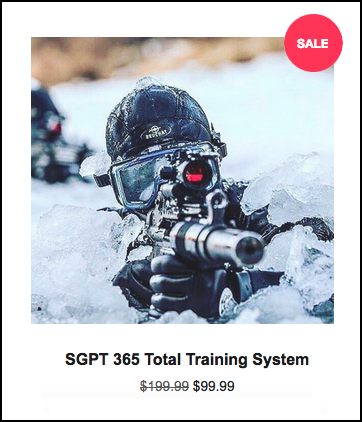 As that will allow you to do many workouts for the lowest price and still have basic gear. Your own preference will decide whether you want a barbell with or without center knurl. The most popular is without center knurl (keeps you from scratching your throat during cleans and front squats). If you find a bar with a bolt in the end, this is a “pin barbell”. This is a red flag and I would not recommend it. Video: What is the cost of my Garage Gym? You can try to use it but you will be disappointed in the end. Female athletes will like the smaller diameter 25MM version barbell. For kid athletes you can go with the alumilite barbell. The Bomba Oly barbell for women has been a favorite for the ladies in the gym. You need a good set of bumpers if your going to work out in a garage gym. You can try and use metal plates but if you drop them you will chip the concrete floor or destroy the rubber matting. 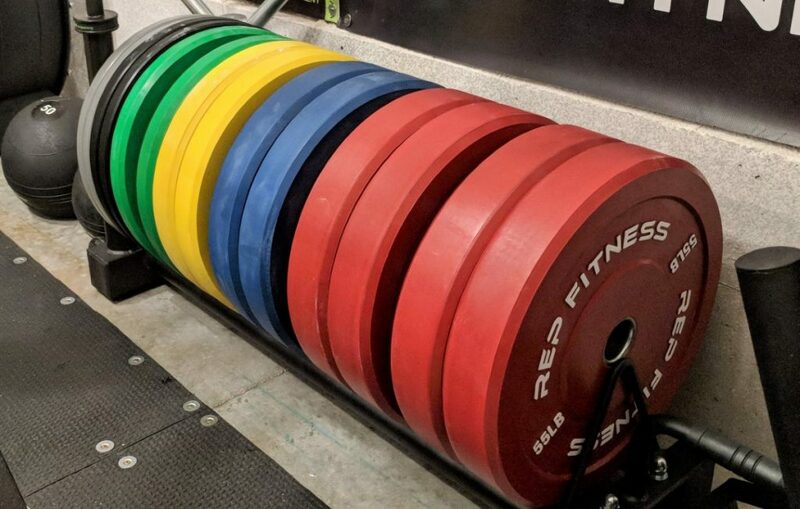 Rubber bumpers allow you to drop the barbell without destroying the floor. A good bumper has some bounce but not too much. There are several companies that are now making a low bounce bumper plate. If it has too much bounce it can be hard to control, or even crack you in the face if you drop it and your face is in the way. Another company that has been making good rubber bumpers is Wright Equipment . Training bumpers are also good to have. 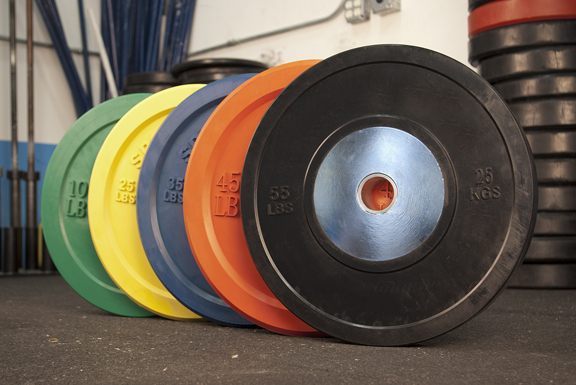 Most are made recycled rubber bumper plates with high density stainless steel inserts. One of the problems with thin bumpers is that they can bend or crack if you drop them too hard. That being said, never drop 10lb or 15lb plates from overhead. These bumpers are also made in the U.S. and can stand up to a lot of abuse in the gym. The Wright bumpers are great as they have a low bounce rate so you dont have to worry about bar bouncing back up and catching you in the shins; or even worse in the face. Rubber bumper with a brass sleeve are another option. There are many dozens of assorted bumpers out there on the market. China is a big producer and can still ship them overseas to market. Brass inserts will last longer than steel, but are also slighty softer. These can be good all around bumpers but will crack over time. Beware of the cheap 10 lb rubber bumpers as they will split at the insert after being dropped from head high in your gym. If you’re throwing weights around in the gym you will want to have a collar to secure the load. The good old fashioned spring collars are a good way to start if your on a budget. If you want more you can go for the muscle clamps to secure your bumpers. Either way, it is good to have collars to secure the bumper plates on the bar. Many Olympic lifters in the old school gyms don’t use collars but pick however you like. Oso makes some mean collars that don’t shift at all. Question: What is the best size medicine ball for cross fit? Answer: The men‘s RX medicine ball is 20 lbs. The women’s RX medicine ball is 16 lbs. Question: What about cheaper squat stands? Answer: They’re all right, but they can also wobble and not be made with a quality that provides strength and safety. This is a piece of equipment where I’d recommend spending some extra money to make sure you get good quality. There are many options for this so let’s begin with the ceiling mounted pull-up bar . We started out at a local track and used the pull up bar there. Once we moved back to my house and building up our home gym in the garage we added a bar connected to the joist in the ceilings. It was easy to do. You can build a pull-up rig with pipe from your local hardware store for your garage or you can buy a 36 inch pre-built version. If you workout outside and want a portable version – You will want a simple squat rack or cage that you can hang rings from. Sorinex and XMark have made an all in one cage (rack) that has a dip station, squat rack and pull-up system. There is also the option of pull-up bars that fit over a door. You really want to get a good set of gym rings as there is so much you can do with them. Start with ring dips, pushups, muscle-ups and much more. What are the best gymnastic rings? Read on. Many of your workouts will have ring dips and muscle ups so you will need to be ready for this. You can make a set of do-it-yourself (DIY) homemade rings. I made a set of homeade rings but eventually lost interest in them as they were too “homey” – if you know what I mean. So I broke down and bought a set of wood gym rings which made a big difference. These are smooth on your hands when your doing multiple reps and cost the same as plastic rings. 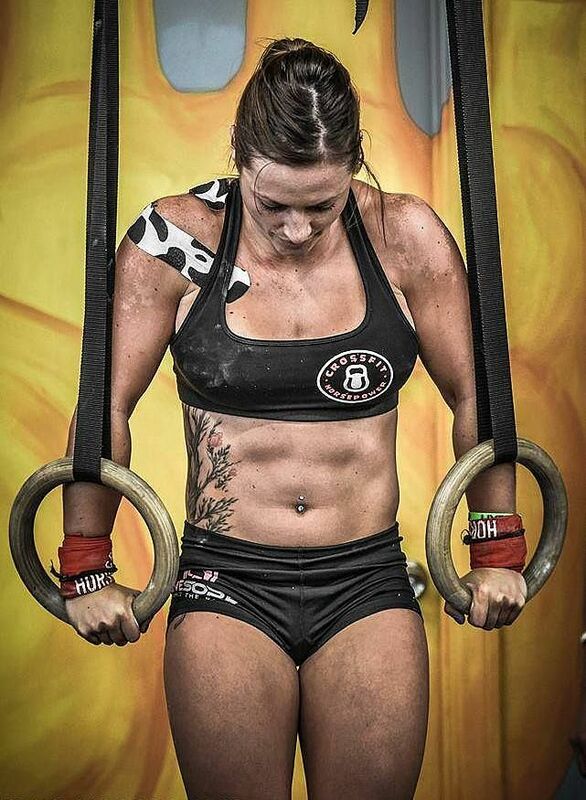 The Elite EXF rings get some good reviews and several athletes really enjoy them. The EXF gym rings that have the foam covering on one portion of the ring is a slight hassle as it helps to get a better grip but the foam will wear out over time. PowerMax Fitness Rings – Very solid setup but the strapping system is very complicated, straps are short and the plastic knurl is very aggressive. Titan squat stands are a great value and come with a pull up bar on the top similar to a Rogue Fitness rig. The Titan squat rack will last just as long and is just as beefier and much lighter on your wallet. York FTS Press/Squat Stand – Great value and has a lot of versatility. It has two J-cups for press and squat. The threads can wear out with heavy use so be aware of that issue. ProMaxima – Independent squat stands with out and connection across the back for support. The ProMaxima are sturdy and have plastic J-Cups to protect the knurl. Kettlebell – We recommend a 16-24KG kettlebell for men and a 8-16KG Kettlebell for women. 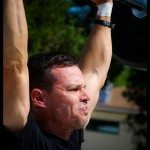 A note from Brad McLeod – “I just bought a 53 lb Ader Kettlebell and love it. It is just the thing I needed for my home garage gym. Now I can bust out workouts like Helen and have the right gear for the workout. 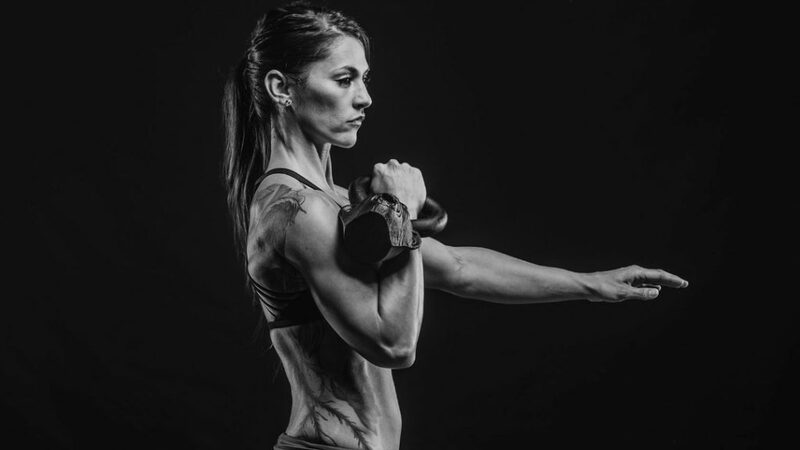 For the kettlebells – what you want to keep an eye out for is the casting seam—a cheap kettlebell will have a casting seam that is visible and will tear up your hands. You also want to make sure you can handle the grip size. Some heavier bells on the cheaper size have up to a 2 inch thick handle, which really taxes your forearms. Be aware of this. Finish of bell: The painted bells with baked-on paint are the best. The epoxy coated bells will chip and you will be sweeping up the pieces off the floor of your gym. We have a set of the Ader Kettlebells in our gym and really like these bells. These have the right feel and are nearly indestructible. Question: What kind of machines are used at most CF gyms? 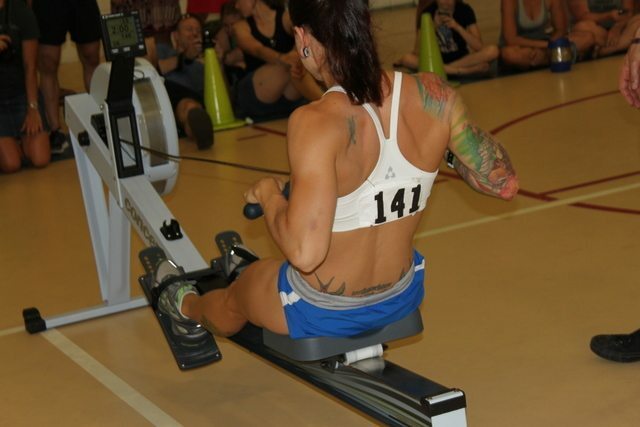 Answer: The only machine that is used is a rowing machine, sometimes an Assault Bike. The Dynamax medicine balls have been number one for years. 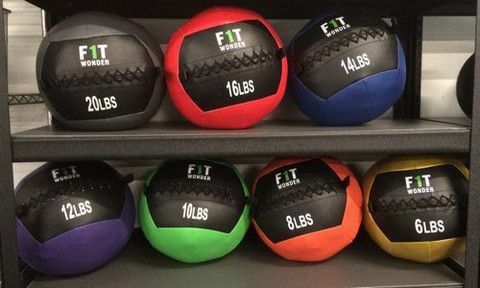 Here are some things to consider: Fight Gone Bad sizing – 20 & 14LB Dynamax Medicine Balls are the sizes used for the CrossFit RX workouts. For gym use we recommend purchasing lighter med balls for mixed use. If you are a serious athlete, you should get a 25lb+ ball, so when you Rx a workout with a 20lb ball, it feels feather light. For slamming we like the Ader Slam Ball and it is our ball of choice – The manufacturer does a relatively good job with the warranty them even though no one has been able to make a slam proof med ball. It is easy to make a do-it-yourself med ball with a basketball skin and some sand. Check out the SEALgrinderPT video of us making one out in front of the gym. The Model D with PM3 is the champion here, there is no substitute for C2, here are some ways to find a used one. The stroke on these is second to none, and the adjustable flywheel makes it very versatile. Search out Craigslist for a used Model C or D – If you can land a C for $400 or less based on the condition this may be a good deal. 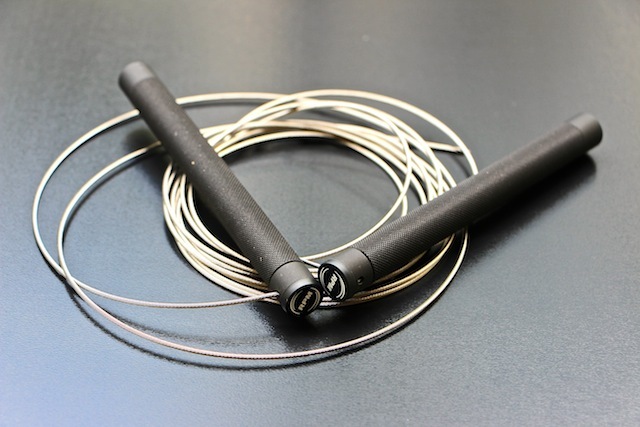 There are a number of new speed ropes in recent years like the PowerMax jump rope . I have several jump ropes in my gym bag and if going for raw speed – I use the Rogue Ultra Speed Cable Jump Rope. I give this rope a good review – just be careful if using on rough concrete as it will wear the rubber coating off the cable. I remedied this by jumping on smooth concrete and putting a piece of tape over the middle of the cable. Another pro tip – you can also pick up new cables. The Rogue Ultra Speed Cable Jump Rope is crazy fast and used to break the US National and World speed records; so it should help with your double unders. You can make one from instructions you will find online or buy a wood or metal box. We suggest you grab a 16 to 24 inch box. We are also seeing more D1 style gyms go to all foam plyo boxes, or padded boxes, to save their athletes from injuries hitting their shins on the wood boxes. This is up to you, but if you train a lot of box jumps, you might want to invest in one that won’t tear you up if you miss or trip. Question: What are some of the good companies to buy from? 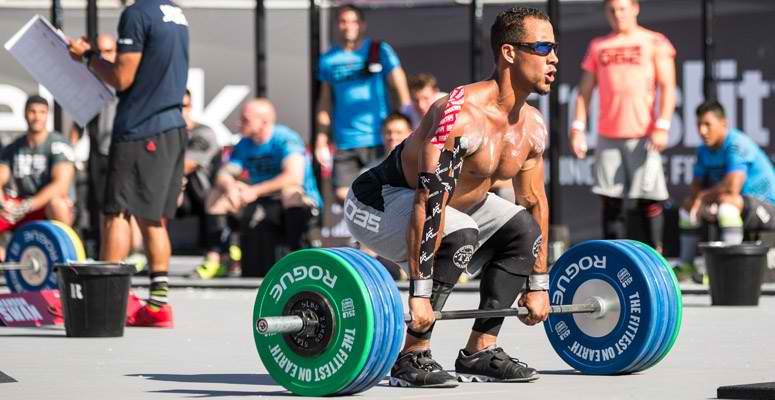 Answer: Check out Rage Fitness, Pure Strength, Perform Better and Again Faster. 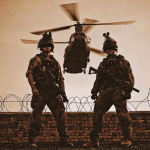 We are also looking at new companies like MaxWod, WOD superstore, American Barbell and American Aggression Fitness. I say “honorable mention”, but I think this is a very valuable piece of equipment. One of the most under utilized pieces of equipment out there is the GHD, which sands for Glute Ham Developer. Here are some options: CFF Glute Ham Developer GHD —this is the lowest price GHD without sacrificing a ton of quality. Legend Standard GHD – This is a good GHD with 3X3″ tube steel construction. This GHD ships already built which costs a little more. York GHD – This is a well built GHD with roller pads. The York Barbell Glute Ham Developer is a good commercial GHD for the price. How Do I Choose A Weightlifting Bar? How Much Does it Cost to Open a CrossFit Gym? This is definitely one of my goals! My own home crossfit gym! Just wrote it down! What Equipment is needed to start own CrossFit gym? last addition to an individuals garage gym gear can be found in the form of Garage Gym Gear, that should be sized from 15-24 inches. These are generally utilized for box jumps that will help your speed. Great article! Has anyone developed an ap where you can list the CF equipment you have and then it will generate WODs bases on what you have? Thx. last addition to a persons garage gym gear are available in the form of Garage Gym Gear, which should be sized from 15-24 inches. These are typically useful for box jumps, that will be enough to do. Rogue bar is my favorite.My husband tried several bars before and nothing can beat their 2.0 version. Great guide. Somme really nice stufff on this web site, I it.